Individuals who are facing DUI, DWI, OUI, or OUIL drunk driving charges in Michigan must secure the legal guidance and representation of a talented and dedicated criminal defense firm. 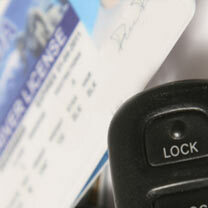 The penalties you may face include jail time, significant fines, and the loss of your driving privilege. You have constitutional rights, and those rights must be protected. Our DUI attorneys will put all of their skill, experience, and talent to work on your behalf to ensure you are not wrongfully convicted. At Grabel & Associates, our decades of experience and proven results make us the right choice for individuals in need of a capable Michigan DUI lawyer throughout the state. We realize the seriousness of being charged with driving under the influence of alcohol or other illegal substances. Our goal is to help those accused of these types of criminal offenses avoid harsh punishment. In Michigan, a conviction for drunk driving will leave an individual facing far-reaching consequences which can negatively impact your career, employment opportunities, reputation, every aspect of your life. A conviction will also blemish your driving record permanently. It is illegal to drive with a BAC (blood alcohol content) over 0.08 according to the Michigan Vehicle Code. Any individual who is younger than 21 cannot drive with a BAC over 0.02. It is critical that you consult with an attorney immediately when facing charges for drunk driving. While prosecutors must prove that you were operating a vehicle while under the influence, and prove this fact beyond a reasonable doubt, a conviction will leave you facing serious penalties. If you have been arrested or charged with a DUI, you may feel as if your life is spinning out of control. Can I Lose My CDL If Arrested for Drunk Driving? Do I Have to Take a Breathalyzer Test If I Get Pulled Over? 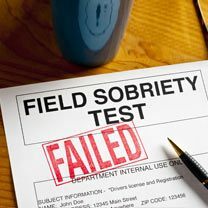 What Happens If I Am Arrested for My First DUI? What Are the Differences Between DUI, OWI, OWPD, and OWVI in Michigan? Because of our decades of experience, our attorneys understand the technology used today in determining whether an individual is indeed under the influence of alcohol or other substances. We also know that test results are not always accurate, nor are tests always performed properly. Whether you have already been arrested, are under investigation or have been convicted of DUI and desire to have your driving privilege restored, we can help. constitutional rights. There are many strategies that may be used to provide you with a strong, effective defense depending on the circumstances surrounding your case.eam will fight to ensure you or a loved one avoid a conviction and jail time. Regardless of your guilt or innocence, drunk-driving charges can often be beat with the support of a capable and aggressive DUI defense attorney. All members of our team have experience in successfully fighting charges of drunk driving throughout Michigan. 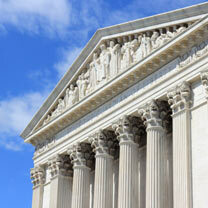 The outcome of your case absolutely depends on the quality of lawyer you choose. Do not hesitate if you are facing a drunk driving charge. 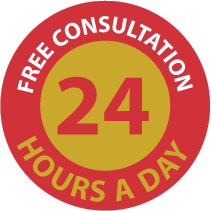 We are available 24 hours a day, 7 days a week by contacting us online, and offer a free consultation regarding your legal matter. Call our toll free number at 1-800-783-4448 immediately so work can begin on your case. 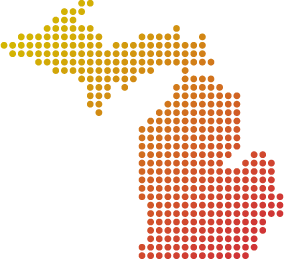 The defense attorneys of Grabel & Associates defend people accused of driving while under the influence throughout Michigan including the communities of Lansing, East Lansing, Grand Rapids, Holland, Muskegon, Benton Harbor, St. Joseph, Pinconning, Kalamazoo, Mount Pleasant, Bay City, Saginaw, Brant, Traverse City, Ludington, Allegan, Hillsdale, Lapeer, Port Huron, Ann Arbor, Detroit Northern Michigan and the Upper Peninsula.